Disruptor Capital CEO Pete Snyder, High Peaks Venture Partners Investor Renee Park, and Keep.com founder Scott Kurnit on whether they would invest in Poacht with founder Maisie Devine. Poacht founder Maisie Devine developed an app that aims to help employed job seekers search for work efficiently and privately. Employees can “look for work” without submitting a job application by syncing their LinkedIn profile with the Poacht platform to be matched with suitable opportunities. Devine will be pitching her idea on Risk & Reward on Friday 11/14. Disrupt Capital CEO Pete Snyder, Keep.com Founder Scott Kurnit and Renee Park from High Peaks Venture Partners will be evaluating her business model. Devine started her career in digital advertising and found that many friends and colleagues did not have time to search for jobs, but could be “poached” for the right opportunity. The app aims to make the job search process easier for those who already have full-time commitments. 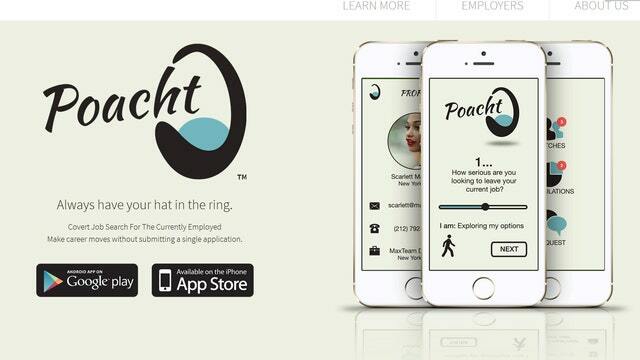 Poacht is currently in the process of raising funding.